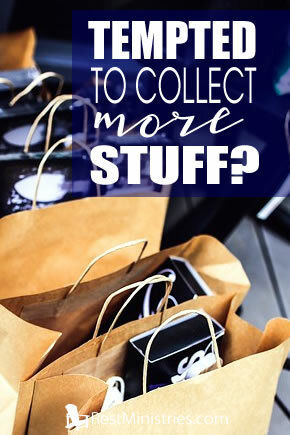 Are You Tempted to Collect More Stuff? Are you tempted by the sales of Black Friday or have you learned to let go of the desire to collect more stuff? Laura shares. “But godliness with contentment is great gain. For we brought nothing into the world, and we can take nothing out of it. But if we have food and clothing, we will be content with that. Those who want to get rich fall into temptation and a trap and into many foolish and harmful kinds of evil. Some people, eager for money, have wandered from the faith and pierced themselves with many griefs” (1 Timothy 6: 6-10). Black Friday in the United States is the day after Thanksgiving in which stores have tremendous sales. It is thought of as the first day of Christmas shopping when many retailers become profitable–in the black–for the year. Some stores open at midnight, others open a bit later, and now some even on Thanksgiving Day. Six years ago I admit I scoured advertisements on Thanksgiving morning to plan a shopping spree. My friend and I would get out before the sun came up to shop. It was fun, crazy, and overwhelming. We had one unspoken rule: if there was a line to get in a store, we skipped it. Unfortunately, many wait in those lines and push and shove, invariably causing injuries. We shopped for hours, would rest, and then continue. And the worse part, I would buy things I did not need or know what to do with. The lure of the sale overcame sanity. Today I am thankful I no longer can participate in Black Friday. This has saved money, time, and energy. I admit, I still browse advertisements, but am grateful my body is not strong enough to endure such a shopping day. Instead, I am most thankful for three things; family, God, and my pacemaker (i.e. medical team). God has always been in my life, but through this five-year medical journey He has become a vital part of my existence. Prayer: Dear Lord, help us to remember to slow down this Thanksgiving and Christmas season. Remind us that You are the most important thing in our lives, not material goods. Bless those who struggle physically and emotionally at this time. In Jesus’ name, Amen. Filed Under: Attitude, Devotionals, Reflection, What's New? 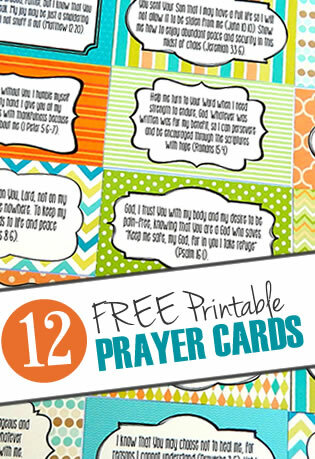 3 Responses to Are You Tempted to Collect More Stuff? Laura, your Black Friday sales sound like our Boxing Day sales after Christmas and I’ve really never wanted to fight the crowds to be a part of it – even when I was healthy! Wonderful testimony of how illness can change our perception, and highlight our need and dependence on God – that in turn makes Him “a vital part of my existence”. Fiona, yes Boxing Day does sound similar. To be honest with you Black Friday sort of took the joy out of Christmas for me. I used to work in retail at a Christian bookstore. The chaos and all the crabby people waiting in line and causing havoc took all the joy out of Christmas. Black Friday should be banned in my opinion. That’s not what Christmas is about.